In the 1990s providing mental health services to the elderly and particularly to elderly Native Americans had been an issue of some concern for the last several decades. Despite this, many public decisions made at the time were based on inadequate data. Due to this lack of data, there had been little research devoted to determining the factors associated with mental health among elderly Native Americans. Instead, the growing body of mental health research had "been based on limited samples, primarily of middle-majority Anglos." 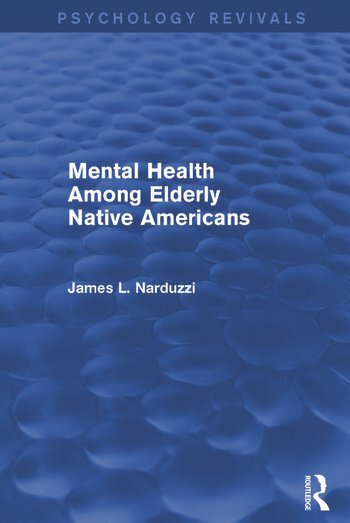 Originally published in 1994, the purpose of this research was to utilize existing data to close the gap in our understanding of mental health among elderly Native Americans. Preface. Acknowledgements. List of Tables. 1. Introduction 2. Background and Literature Review 3. The Research Model 4. Methods 5. Results: The Stress Process Model Applied to Elderly Native Americans 6. Analysis and Implications 7. Summary and Conclusions. Appendices. Selected Bibliography. Index.